Are you starting to a garden this season? 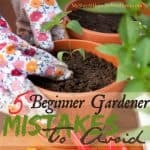 Want to avoid some beginner gardening mistake and get things started the right way? 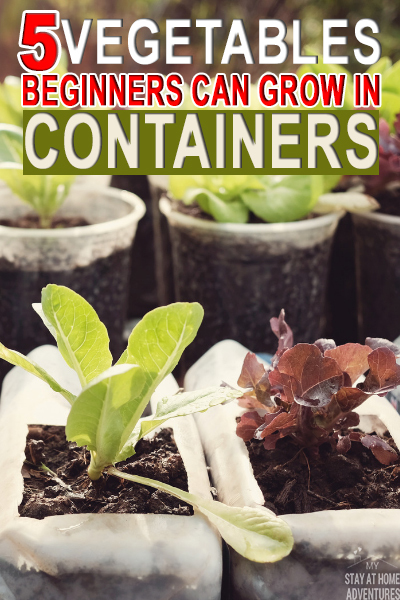 Learn the top 5 vegetables to grow in containers today. You have decided that you want to grow your own vegetables! How exciting is that! Congratulations! 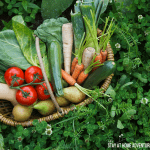 Growing your own veggies is an exciting and rewarding experience. Gardening is a fantastic thing you can do for yourself. Now, if you are a beginner, this process can be tricky. That being said, some vegetables are so much easier to grow than others. And this can be said about growing vegetables in containers. Some are harder than others, but you are going to learn which are the top vegetables to grow in a pot. To make it more comfortable in your new gardening adventure below we have our top 5 vegetates to grow in containers. So, if you are like me, radishes are the last vegetable you are thinking of growing. Radishes are an excellent vegetable to start growing in your garden, and they grow well in a container. 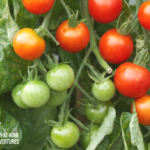 They are simple to grow and great in summer and fall salads! They are potentially ready to grow in one month and with proper care and watering you can sow them in batches for a continue grow. This means you just don’t grow 100 of them (exaggerating here to prove a point, only grow what about 5-10 (depending on consumption) and then every 7 days and sow up to 4 weeks before the first frost. If you love your chilies, then they are another vegetable for any beginner gardener to grow. Chilies go well with many dishes and seriously taste even better when you grow them in your home. You can start them early in inside your home and once the weather gets warmer place them outside. Chilies love warm weather, and you are going to see that the warmer the weather, the spicier they will be. Believe it or not, potatoes are easy to grow in a container, and I found this when I tried it myself. All you need is a container large enough to allow the plant to grow potatoes. We use a 5-gallon bucket with a successfully grow rate. Ideally, you’ll need a plastic dustbin or a similar size container for best results. What’s most important when it comes to growing potatoes in containers is the soil debt. Other than that, they’re pretty easy to look after. I even grow this in my indoor garden, spinach. If didn’t know, spinach is a super food, and this superfood is super easy to grow in containers. Just make sure that the soil you use is a high-quality rich soil, and they are in a light shade area rather than direct sunlight. When it gets drier, make sure your spinach is frequently watered; otherwise, it will have a bitterly taste to them. This is one of my must-have vegetables to grow in containers. Again, I even grow them year-round indoors! Lettuce plants are one of the easiest to grow, and they grow well in containers. 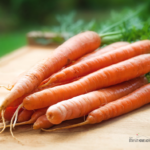 Again, make sure you grow them in interval (recommended 10 days interval, sow up to 8 weeks before the first frost) to ensure they mature at separate times. 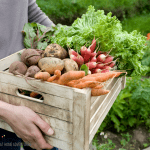 Just like any other vegetable grown in containers make sure that you plant using a rich soil and keep it continuously moist. A great tip is to water in the morning and chop off the head once the heart is formed. We have given you our top five vegetables to grow in containers, but there are many more! 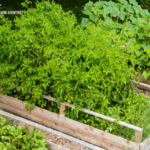 Many container vegetables require a lot more maintenance than others, but the vegetables mentioned above are what we consider the easiest types of grow. Now that you have an idea of what vegetables to grow in containers, we want to know what are your tips and thoughts about it. Make sure you share them below. We just started gardening last year and I completely fell in love with it! I’m going to double it this year, can’t wait! !